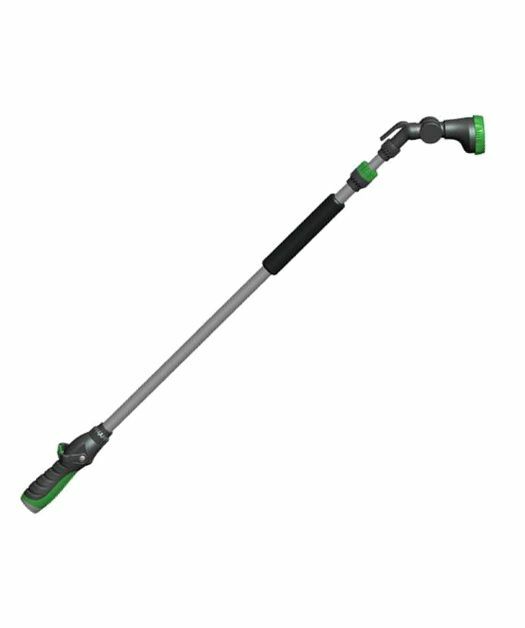 Designed for reaching shrubs and hanging baskets, this is a lightweight, cushioned gripped wand with a heavy duty zinc shower head. The flow control knob enables you to shut water off without returning to source. It has a gentle shower spray for delicate flowers and plants.